Location: Oregon State University Foundation Portland Center, Portland, Oregon. Katharine Jefferts Schori (b. 1954) has lived a life inspired by both science and faith. Jefferts Schori received both a master's degree and a Ph.D. in Oceanography from Oregon State University, in the process becoming the first female to earn a doctorate from the university's Oceanography program. It was in Corvallis that Jefferts Schori also grew more actively involved in the Episcopal Church, first as a lay member and later as a member of the clergy. In 2000 Jefferts Schori entered into a more prominent leadership role within the church when she was elected Bishop of the Nevada diocese. 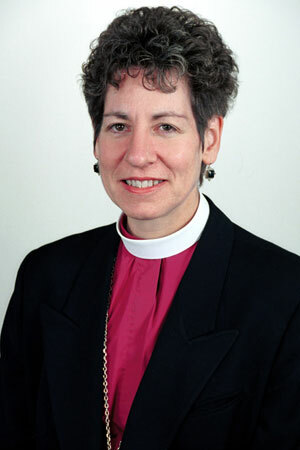 And in 2006 she was elected to a nine-year term as Presiding Bishop and Primate of the Episcopal Church, the first woman to occupy this role. Her interview focuses on her upbringing and education, her development as a scientist and a woman of faith, and her experiences as a leader within the Episcopal Church.